Mental and physical readiness can mean all the difference in IVF pregnancy success. Eating a well-balanced diet will increase your chances of IVF success. You should begin improving your nutritional habits at least 3 months before your embryo transfer. Good nutrition enhances the health of your reproductive organs and ensures a quality blood supply to the uterus. Why is this important? Good nutritional habits you develop now will be easy to carry over into your pregnancy. Take a good quality multi-vitamin and mineral supplement containing vitamins A, B, D, and C complex. Your supplement should include zinc, magnesium, selenium, iron, and co-enzyme Q10 which all play a vital role in fertilization and implantation. That’s not all. Ask your fertility specialist to prescribe a folic acid supplement to fend off neural tube defects such as spina bifida. Reduce your alcohol intake because studies show that women over 30 who drank seven or more alcoholic beverages a week were twice as likely not to conceive. Cutting out alcohol altogether while you try for a baby is the best plan because, once you conceive, your cravings for a drink will be diminished. If you don’t abstain completely from alcohol, opt for only three glasses of red wine per week – sorry, no chardonnay. Watch your BMI and get good sleep. A healthy adult Body Mass Index (BMI) is between 18.5 and 24.9. A 2016 review of studies shows that not getting enough sleep leads women to consume an average of 385 more calories the next day. Too much body weight can make women less fertile. Seek help from a dietician and an exercise coach to help you lose weight and maintain a healthy BMI while you are trying to get pregnant. Remember: Your revamped diet and physical fitness regimen will help you to have a healthy pregnancy and baby. Avoid Caffeine in coffee, tea, and soda because it can have an adverse effect on female fertility. It’s best to cut caffeine out altogether to boost your fertility level and prepare for a healthy pregnancy. Drinking more than 300 mg of caffeine per day – 2 to 3 cups of coffee – has been linked to a higher risk of miscarriage and stillbirth. 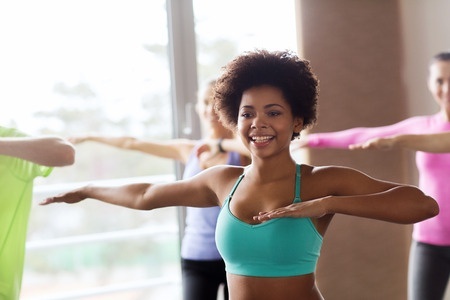 Exercise increases blood flow to a woman’s reproductive organs and brings in fresh blood to cells. Exercise helps to oxygenate the blood. New studies have shown that both online yoga and in-person yoga help to increase the chances of a successful IVF pregnancy by up to 26 percent. This is because yoga is proven to reduce stress and anxiety in IVF patients. Fertility Yoga regimens include a series of poses and postures designed to improve fertility. Acupuncture for Fertility has been proven by studies to increase a woman’s chances of getting pregnant by up to 50 percent! National Institutes of Health research has shown a direct correlation between acupuncture and pregnancy. New Hope Fertility Center has recently launched an in-house acupuncture service as an integral part of our all-encompassing infertility treatment options. To schedule your initial consultation with Dr. John Zhang at New Hope Fertility Center, click the icon below – or – call 917.525.5496.
drjohnzhang, January 18, 2018. No Comments. Category: IVF Treatment.